The radio in Project colony ship is barely functional. 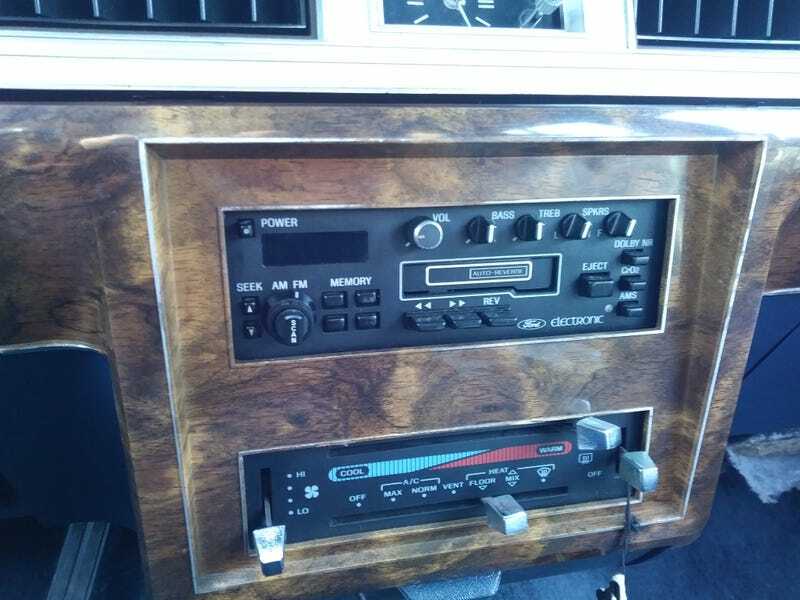 Anyone have a working 80s ford tape deck they are willing to part with? Failing that, does anyone have a suggestion for a new radio that won’t look grossly out of place? CD preferred (I am a luddite), but aux/usb only is acceptable.